Today marks 31 days of an absolute no-buy for the first time in over 10 years. For those of you that know me you know what an accomplishment that is. Thirty one days of no new nail polish, no new earrings, shoes, bags, anything. My shopping problem, yes, it is a problem, began in 2002 when I was forced to leave college and start working full time. It didn’t help that at 19 I was a retail manager at a beautiful department store full of designer shoes, bags, clothes, home goods, and more importantly jewelry. In my head, my discounts somehow justified my spending- how could I pass up a $300 bag that I could get for $225? Or an $1800 pink sapphire ring for $375? Over the last few months I realized the last 10 years I was shopping to disguise emotional trauma in my life. When I started working full time, I was heartbroken that I wasn’t able to be in school, that I was working 9-10 hour days, that I had no friends, let alone the time or energy to hang out and party like most 19 year olds. Looking back, I realize I was forced to grow up fast, and the emotions I was experiencing were being covered up by shopping. My friends were my siblings, my boyfriend at the time, and the women I worked with, who ranged in age from 45-75. When you work til 11pm closing, and have to be back in at 7am to open the store, there’s no partying, you go home and go to bed. I learned responsibility and self-reliance early in life, this may account for why I have little to no tolerance for kids these days. (Or kids 10 years ago for that matter.) When you’re still a kid yourself and are facing rent, insurance, utilities, and food bills, it puts things in perspective rather quickly. Gradually over the next few years, I racked up $12k in credit card debt. Yikes. I was paying my bills, but shopping had taken a hold of me and had pulled me under. The heartbreak of putting school on hold, menial jobs, breakups, and emotional scars from childhood had me in a bind. I fell into the trap of telling myself that ‘stuff’ would make me happy. Well, apparently $12k later, I still wasn’t happy and was in severe debt. Upon losing my job in 2007 and returning to school while on unemployment, I paid off my debt gradually, and am proud to say I have less than $750 in credit card debt currently. But that doesn’t mean my shopping had stopped. I was out of control. I was still spending, but with cash rather than credit. Then it happened. I shared a photo on instagram of a set of Essie nail polishes that I picked up at Ross, a steal for $17.99. 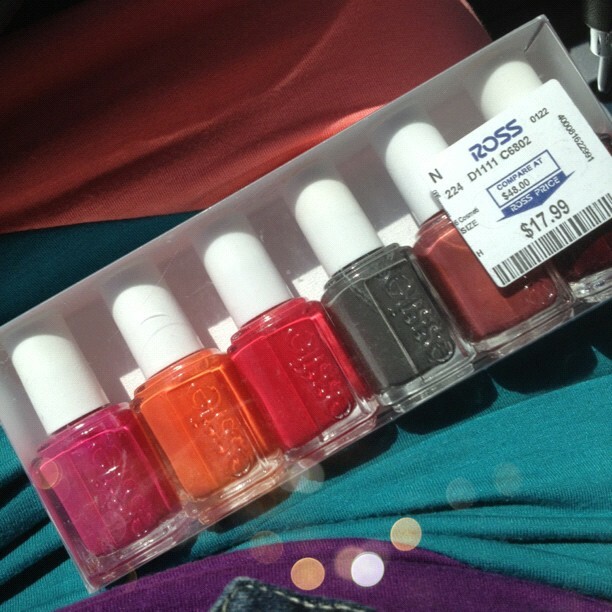 As you can see, it was a set of 6 Essie nail polishes, a value of $48+, and I was ecstatic when I picked it up. But an odd thing happened. I couldn’t bring myself to actually use the polish. It sat on my desk for over a week. I attempted to use it a few times, but this feeling of guilt and nausea overcame me. And then I woke up on Wednesday, August 1st, and I immediately knew why. It was an unnecessary purchase, and subconsciously I knew it needed to be returned. I had a self-inflicted no-buy on my hands. Over the years my husband had tried to help me curb my spending, but I would immediately get defensive and pick fights with him. He has never yelled at me for my spending, but worse, he was disappointed. But this time was different. It finally clicked in my head that enough was enough. I knew I needed to change myself. That weekend I returned the Essie’s and over $100 worth of items sitting in my office unopened. And something happened. I was at peace. My husband was elated. After returning what I could, I decided to put up other items I had new (without receipts or beyond return date) on ebay, and sold $300 worth. I started looking around my office at the stuff I had accumulated and was angry at myself. All these years and thousands of dollars for what? Clutter. Emotional baggage. I’m not saying m emotional baggage has healed. It certainly hasn’t. I still struggle with loneliness, missing my family, not fitting in, not being able to make friends, being left out, etc. But I’ve taken a HUGE step in the right direction. And I am so proud of myself. This isn’t just for August. I was worried that once September 1st hit I would go crazy, making up for the shopping ban I had put on myself in August. But the other night while looking through the Ulta catalog that had come in the mail, I realized I had changed for good. One of my favorite nail polishes, Butter London, will be BOGO in September, and I immediately started thinking about which polishes I wanted. And I could only come up with 2. Perfect! I am planning on picking up ‘Come to Bed Red’ and ‘Teddy Girl’, for $14, all of which will be covered with my rewards, so free. Smart shopping. The old Amy would have picked out 10-12, having my husband purchase some behind me in line, to avoid the minimums set. The Gelish nail system that will be my September purchase must be funded by ebay sales, etc. Have you ever gone on a self-imposed shopping ban? What a brave and inspiring post - I think a lot of times we all need to step back and decide what it is we really want/need to be spending our money on and if the "stuff" will make us happy. Congrats to you on your successful no-buy month! I did in June. I'm one of those people that if I see money in my bank account and see a good sale.. I "Need" it. I forced myself in July to NOT spend anything. Of course, I got a job teaching and needed real clothes to wear, but I set a limit of $100 and shopped at the thrift store. I guess I'm just learning how to shop smarter and evaluating what I actually need, not just what I think I need because it's on sale. Congrats girl... it's tough! Recently I had something very traumatic happen to me. I have been dealing with a lot of grief and shame. When I feel this way I try and over compensate for the way I feel and often I do that by over spending. It has been a terrible few months of spending. I have noticed it doesn't make me feel much better. I really need to kick the habit and work on feeling better in other ways. I have been trying to donate clothes and other items to consignment stores. I have a long way to go! Keep up the great work! How very valiant of you to share this post with us! It sounds like you are doing great with paying off the debt and sticking with a budget! Your rules are very good too, isn't completely keeping you from shopping but defiantly more structured. Way to go! Amy this is awesome!! Good for you girl :-) I'm trying the same thing myself. I have a problem leaving Target without having spent at least $100. Considering I go there on my lunch break at least once per week, it really adds up! I felt like I was reading my life on your blog. I understand and commend you. You have inspired me and I hope to follow your lead. Thanks for sharing. I personally don't have an issue with spending too much money - in fact, I can be the opposite sometimes. But my boyfriend is the one who struggles with unnecessary purchases, when he is already in debt up to his eyeballs. I sooo want to show him your post or share your story with him. Like your husband, I try not to be angry or yell, but it's definitely frustrating. Your story is inspirational, and you are so brave for doing this for an entire month! Good luck with sticking to your budget restrictions in the coming months as well!! I used to be the exact same so I can completely relate. You're so brave for putting this out there. I used to go overboard with the spending and mostly on credit cards too but I was forced to stop when my fiance quit working to become a full time student, thus leaving all the bills to me. This means I can't even afford to shop like I used to! I didn't choose that but it has helped me SO MUCH. And I know your rules will really help you too! It's like now when I have extra money, I'm very picky about how I spend it and I really think it out "When will I use it", "Where else should I be spending this $" and most of the time I won't end up spending! You're doing great and I know you'll find the perfect balance for you. I love your honesty in this post! I've hailed myself as an emotional shopper... I shop when I'm in a good mood, in a bad mood, or just when I'm bored! I haven't done a full shopping ban, but I have been limiting my purchases for a month at a time. For example, in the spring I banned myself from buying any new tops for a month, the next month it was dresses and accessories. I've also been on a nail polish ban for a few months and am only allowing myself to repurchase essential makeup items right now. It's really helped me to set my priorities and not make so much impulse buys "just because." It's been a fun personal challenge to see how I can use and restyle my existing items in new ways. I've also taken to not buying things the first time I see them or try them. I've found if I'm still thinking about that item a week or so later, then it's usually a sign I'd really use it / wear it. I'm in love with Essie's new "Penny Talk" nail polish and have been eyeing it since it name out. I know that it's a color I truly want in my collection when my nail polish ban is up and that it's not just going to be another impulse buy. Keep up the good work! Gosh... I see so much of myself in this post. I shop a lot more now that my Grandmother has passed away, I lost my job, seem to have lost friends, and my boyfriend is in another state. I know that I shop to fill a void, and while I shop I feel amazing... I am starting to think its not the shopping but rather its the talking. When I shop, I have a "best friend" in the form of a sales person who I talk to and spend a few minutes with. Getting that social connection urges me to buy what I probably dont need. Then I get home, and the items just sit in the bag for weeks... obviously I paid for those few moments of friendship more so than the top or the necklace. I love this post, thanks for sharing and shedding a light on something I knew I was doing, but didnt want to admit. I think I am going to follow in your footsteps and do a ban for September so that I can get myself on track! I've struggled with some stuff like this, I'm not really ready to talk about it online but I really admire you for this post and your ban. I have recently challenged myself to not buy nail polish without 1) being sure I don't have the color or anything like it and 2) a coupon or discount. I'm still buying polish I don't 100% need, but it's smarter than I've been with it. I worked retail for ages too, and I know how hard it is to be around that stuff and a good deal... it's hard not to buy buy buy! I won't be going back to any retail jobs ever on purpose since it ends up COSTING me more than it makes me. Thank you for writing this!!!!! Great Job Amy. After I did 30 for 30 the first time around. Made me realize that I don't need new clothes all the time. So I made it my new year resolution. To beat my first no clothes spending record and I did it. I have only got a couple new things this year. I have seen how much I shop and it can be scary sometimes. My credit card started showing me the breakdown of where I spend my money and it was embarrassing how much I spend on clothes and beauty - especially since I never shopped this much pre-college. But I'm trying to reduce my spending (before I get married) and it's almost freeing now that I don't need to buy everything I want! It's still hard, because I have to find new coping methods, but in the long run, it's for the best. Wow, I am so impressed with your dedication! I think it's a great idea, and I don't think you'll regret buying less. I'm working on doing that myself--I'm looking for a job so we have less money coming in, it's forced me to spend money very carefully. It makes each purchase more meaningful too when I'm not just buying whatever I want, whenever I want. Anyway, good luck, and thanks for the inspiration! Good for you! I love this post! 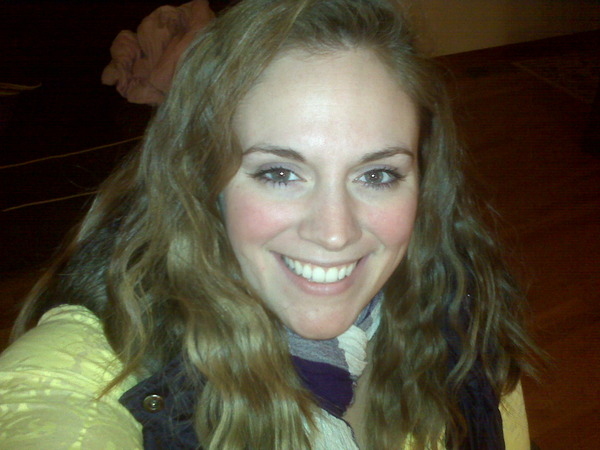 In late 2007 I quit my job to move since my husband got transferred, I quickly became pregnant and then the economy tanked. After I had our daughter I stayed at home for a while then my hubby got transferred again and suddenly we had to put our house on the market and relocate to another city. Well our house stayed on the market for 2 years and during that time we had that mortgage plus utilities there and paying rent for an apartment in the new city, plus I wasn't working so things were tight. We were okay financially but basically we had to make no extra purchases (even going without cable for 3 months!). I went months without buying anything extra, not even getting haircuts for months at a time. For a shopper like me this was really hard. Plus I was lonely and sad being a stay at home mom in a new city where I knew no one. Shopping used to help with that but since I couldn't do that anymore I really had to do some hard self reflection. I started becoming more and more aware of what I spent my money on when I did spend it and also to be on the lookout for sales, coupons and thrift stores. Thankfully we finally rented our house out and I'm working part time from home now so things have loosened up a bit, however I still struggle to make any extra purchases. I still feel like we need to make sure we buy just what we need and not much else. I'm thinking of doing a shopping ban this month. Thanks for the inspiration! Amy I REALLY enjoyed this post. I think sometimes we forget that everyone has a story especially when it comes to our own shopping addictions and I found myself cheering you on as it unfolded. I am notorious for the returning of items and I think I need to learn not to buy in the first place. Thanks for being an inspiration and I wish you all the luck moving forward!! I love this post! You are amazing for sharing this. I'm not in major debt but I have been know to shop way too much and spend when I know I shouldn't. I think reading this will help me stop spending on things I don't need!